The Kings’ Humidor offers fine cigars in Sebastian Florida and shipped abroad. The cigar lounge proprietor Henry Kalinowski offers a wide variety of the best cigars. Henry has a very fine collection of aged Opus X cigars. Forbidden 13, Heart of the Bull, Fuentes, Oliva, Ashton and his own special house blend cigar. Accessories are also available for gifts or the aficionado. Find a cigar lighter, cutter, or humidor to accompany your cigar purchase, or find the perfect gift. Whatever your flavor of cigar from a mild Ashton to a medium God of Fire or a nice bold Fuente Opus X, the cigar selection at The Kings’ Humidor has range. 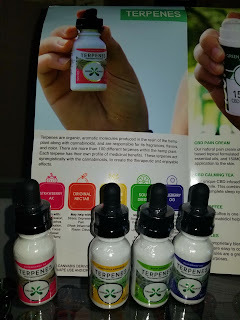 TERPENES Terpenes are created by plants to produce scents and tastes that attract animals and insects that aid in reproduction and help in the spreading of seeds. They also produce scents and tastes that repel animals and discourage them from eating the plant or its’ fruit. These same terpenes have effects on the human body that healers have known for centuries. Terpenes act on receptors and neurotransmitters in the human body to send messages to the brain that have an effect on the body. Terpenes act as serotonin uptake inhibitors in a way similar to antidepressants like Prozac. They are also able to enhance norepinephrine activity a similar way to tricyclic antidepressants like Elavil. They can also increase dopamine activity and augment GABA which is the “downer” neurotransmitter. This is why we like or dislike certain scents and flavors. Without getting too technical the following is a brief explanation of the most prevalent terpenes in cannabis and their effects on the body. Myrcene: Myrcene is the most common terpene in cannabis plants. It is highest in concentration in Indica strains. Myrcene is mostly used as a sedative but is also used as an analgesic, anti-inflammatory, antibiotic, antiseptic, antifungal, antibacterial and antimutagenic. It can also inhibit peptic and gastric ulcers. Myrcene is a good sedative and can relieve pain. Myrcene is also found in musk, cloves, citrus and other herbs. Limonene: Limonene is a terpene that is formed from another terpene called Pinene. It promotes a general uplift in mood and attitude. Limonene helps with the absorption of other terpenes. It is a powerful antidepressant and anti-anxiety terpene. It can also help with acid reflux and promotes weight loss. Other uses of Limonene areas an antifungal, antibacterial and anticarcinogen. It is currently being used in clinical trials as a treatment for breast cancer. It is found naturally in juniper, peppermint, citrus, lemons and oranges. Linalool: linalool is most commonly used for nervousness and anxiety. It is also effective as an anti-epileptic, anticonvulsive, sedative, pain relief and anticarcinogen. It is also effective as an anti- insomnia agent and is found naturally in lavender and citrus fruits. Beta-Caryophyllene: Caryophyllene is most effective in pain relief. It has anti-inflammatory properties and can also act as an antioxidant. It has been found effective as treatment for muscle spasms and insomnia as well. It is also known to be used for glial cancer and leukemia. It naturally occurs in pepper and other spices. Alpha-Pinene: Pinene is thought of as the “stem” terpene. As with stem cells it reacts with chemicals to form other terpenes. It is an effective antiseptic but is primarily used as an expectorant and bronchodilator. It has anti-inflammatory effects and is known to increase memory and concentration. It is also known to boost energy levels in the body. It naturally occurs in pine needles and other conifers and is used in Chinese medicine as an anticarcinogen. Humulene: Humulene is a powerful anti-inflammatory. It is used for pain relief and inflammation. It is also believed to have antitumoric qualities and may reduce tumor size. It also has anorectic or appetite suppressive qualities and is used in Chinese medicine for weight loss .It is found naturally in coriander. Although the FDA has not evaluated any of this information and terpenes are not meant to necessarily represent a cure for any condition natural healers and animals have known their benefits for centuries. New information from research is leading to a better understanding of their effects on the human body. Please consult your physician before starting any treatment or therapy. Sativa Limonene. Pain, Noropathy, antidepressant. Shisha for hookah comes in many flavors. 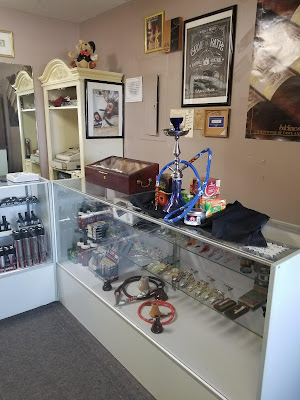 Hookah and hookah accessories in Sebastian. Some of the finest Shisha for your smoking pleasure. 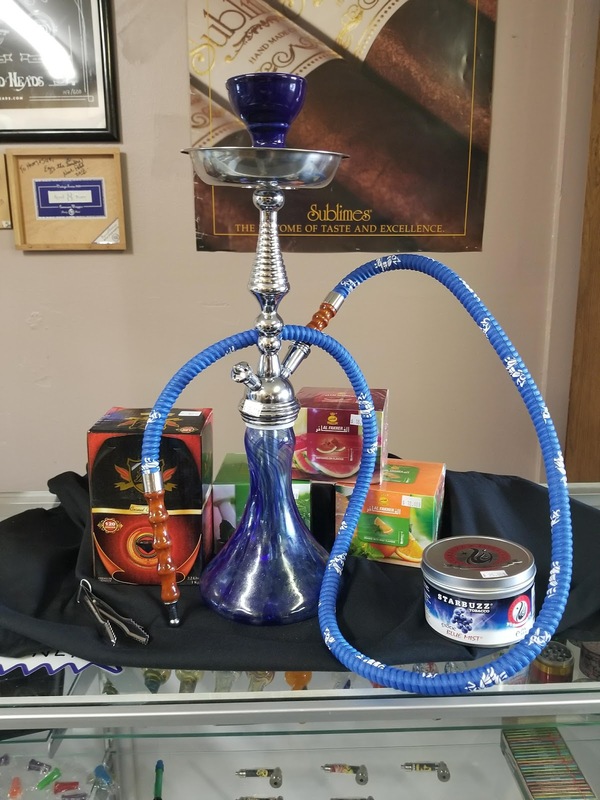 A huge variety of hookah bowls to fit any hookah smoking experience. Handle hot hookah coals with ease! 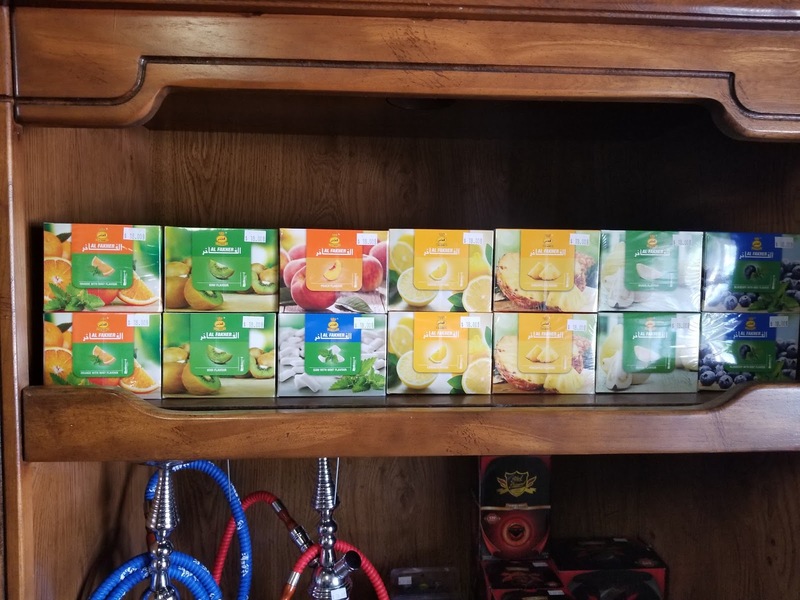 So many brands and hookah flavors to choose from: fruity shisha, minty shisha, rich and creamy, even some incredible spice flavors! Unsure about which shisha tobacco to try? Come on in and we'll advise you so you can make a better decision. 4 Aces Tobacco offers smokers a rich, satisfying smoking experience. Smokers will savor the smooth taste and exceptional aroma of 4 Aces tobaccos. 4 Aces Tobacco is a traditional and iconic brand manufactured and distributed by Republic Tobacco in Glenview Illinois. With a powerhouse lineup under its belt like TOP, Republic Tobacco has developed a powerful reputation of a market leader in tobacco. With a large assortment of flavors, blended to perfection each bag of 4 Aces is guaranteed to satisfy. The Kings' Humidor offers the largest variety of 4 Aces flavors and products at the lowest possible prices. 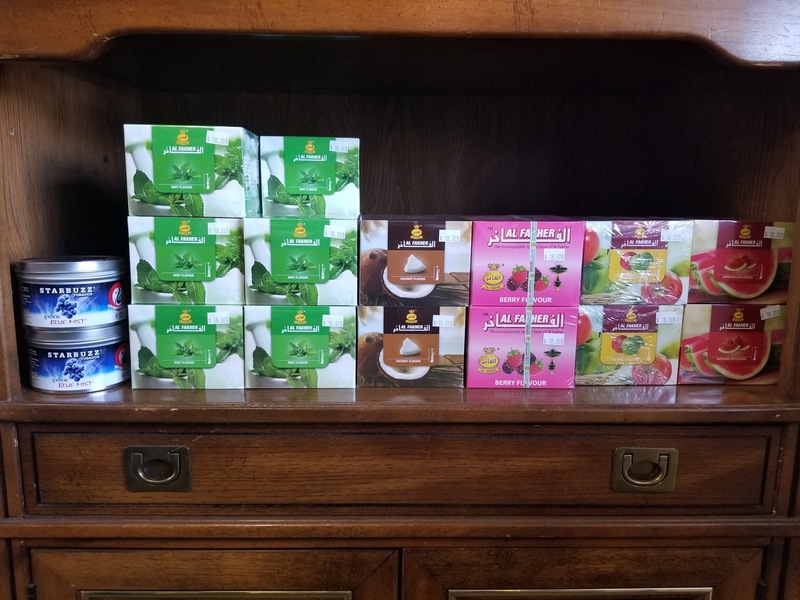 Available 4 Aces Pipe tobacco flavors include: Regular, Gold Mellow, Menthol Green, Silver and Turkish in a variety of sizes. Each flavor is expertly blended to bring out the best possible flavors from tobacco, and features a fine and consistent cut. Golden Harvest Pipe Tobacco is proudly packaged and manufactured in the United States. This bargain friendly brand is iconic in delivering incredible tobacco and incredible prices. Each bag is packed in a thick reseal able pouch to ensure long lasting freshness. 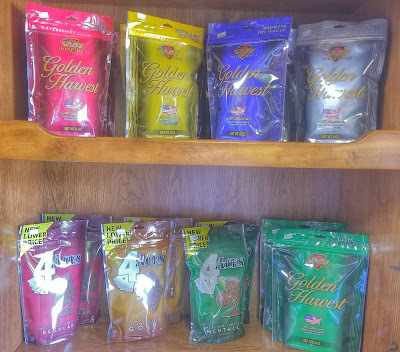 Tobacco General offers the largest variety of Golden Harvest flavors and products at the lowest possible prices. 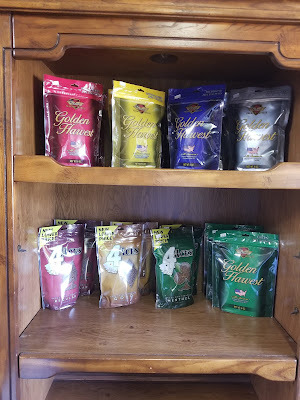 Available Golden Harvest Pipe tobacco flavors include: Full Flavor Robust, Natural, Mint, Mild, Silver. Included in our new line-up as we have moved to a new building, our selection of tobacco glass pipes. 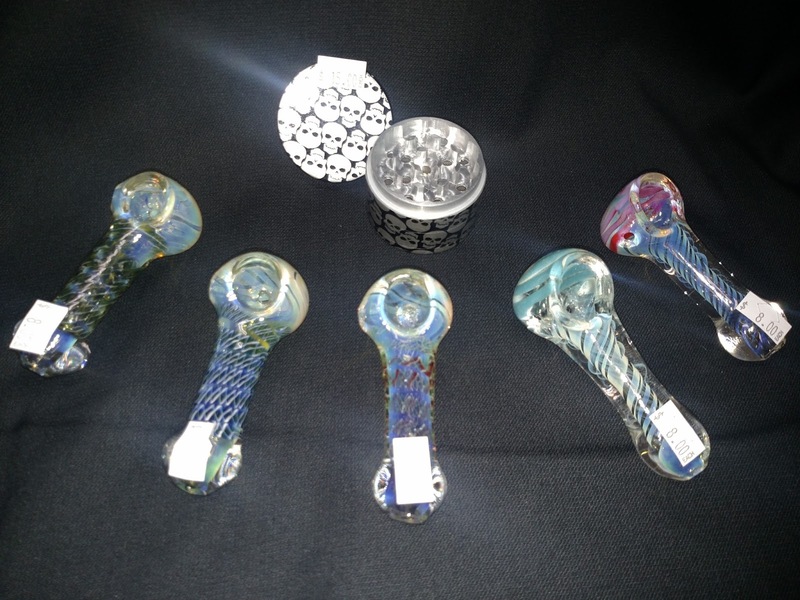 Our fine selection of glass bowls and pipes are beautiful and damn near unbreakable (we're not suggesting you try though LOL.) We hand pick our stock from a local distributor and only select the finest merchandise available. We have accessories to go along with our stock. 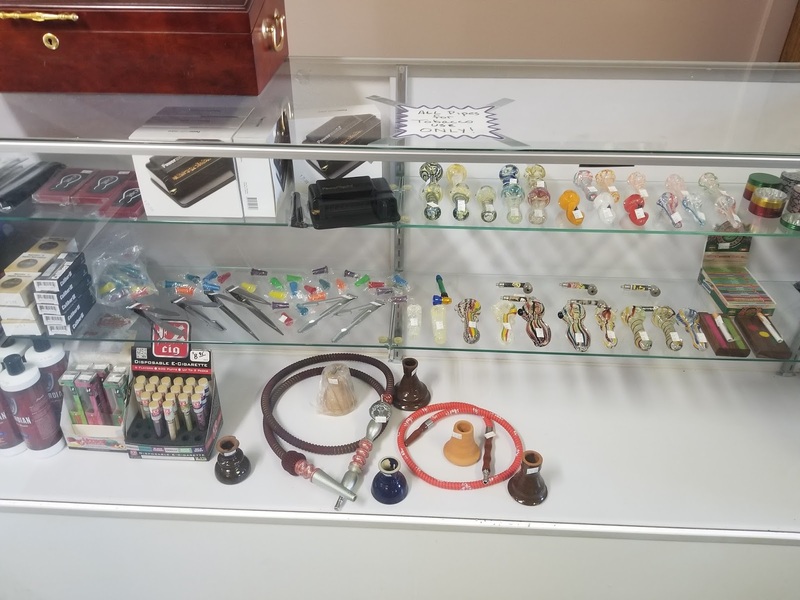 Grinders, 100% hemp papers, and more.